Station 6 opened on December 7th, 1953 at 11:03 a.m. 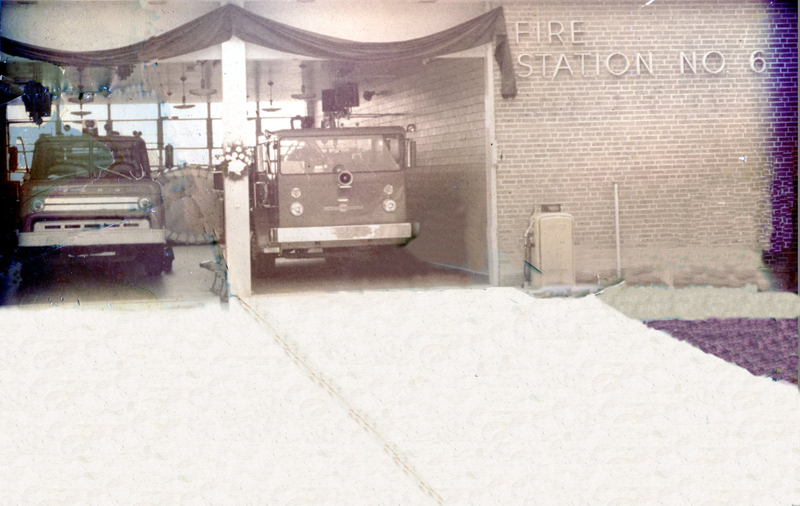 The above image is from the station logbook showing the entry for the station opening. 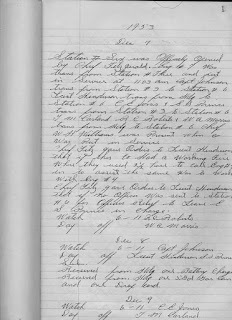 These logbooks are incredibly important for historical entries such as this. 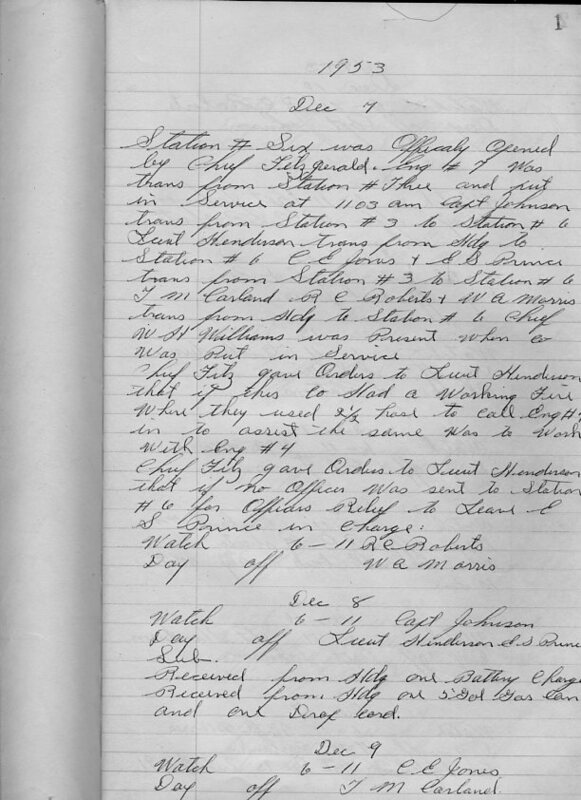 Each day, the on-duty officer would make entries into the logbook. 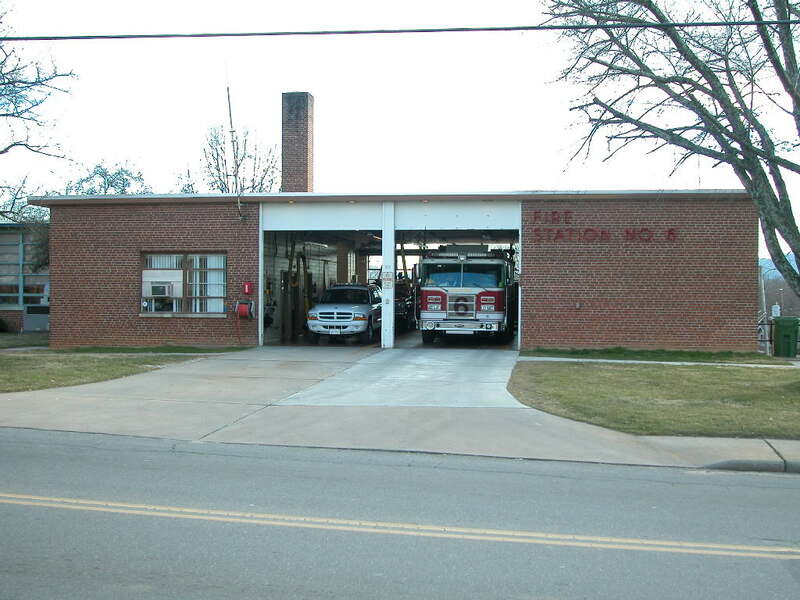 This is an image of Station 6 showing it draped in black for the death of firefighter Raymond Flowers who died nearby fighting the West Asheville Baptist Church fire on May 26th, 1982. You can also see the old fuel pump which most stations had back then. 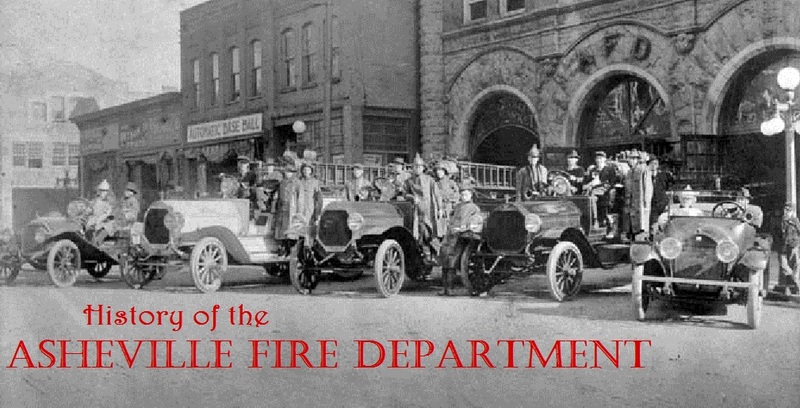 Also showing are the cab-over Ford Ladder 6 and American LaFrance Pioneer Engine 6. The construction of Station 6 started a new city council policy that fire station construction include a library and community center. 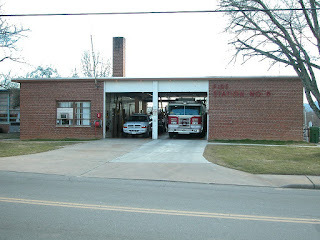 A major remodel was done in 2009 and during this time, Engine 6 ran out of Station 3.